Coinciding with the ascendance of women county superintendents was the rise of public health nurses. 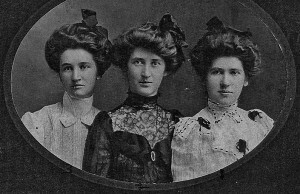 The Montana State Board of Health, formed in 1901, employed four field nurses in an effort to decrease high infant and maternal mortality rates and to curb the spread of infectious diseases. Serving a population spread across hundreds of square miles, these field nurses traveled extensively to educate the public about disease transmission, hygiene, nutrition, and infant care. “These women supervise the work of all nurses in their districts,” reported the director of the state’s Child Welfare Division. “In conjunction with the county superintendent of schools and women’s organizations, they … hold children’s health conferences in schools . . . and advise prospective mothers concerning the importance of securing medical supervision.” One of these field nurses, Henrietta Crockett, established the first infant health clinic on a Montana Indian reservation in 1925 and engaged tribal members in the public health campaign. The goals of public health and education often intersected. 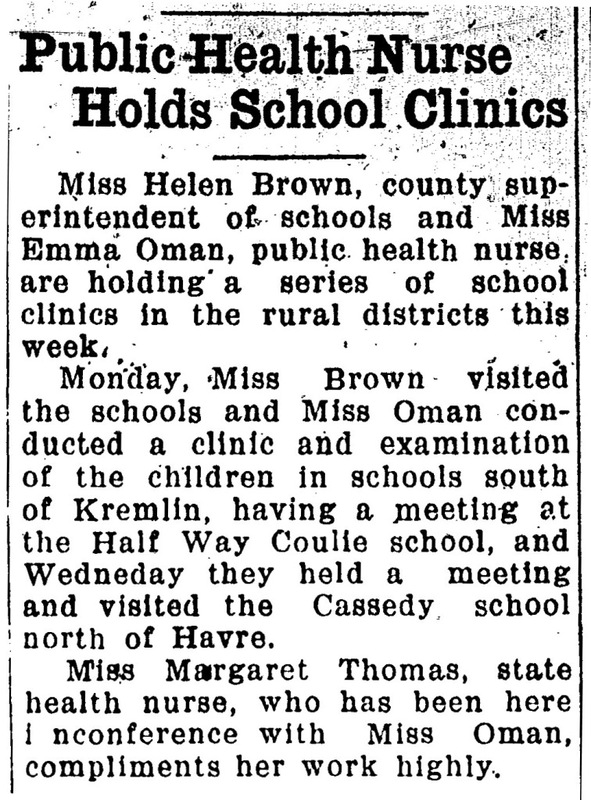 Schools were essential to the success of public health efforts, because they were ideal locations for evaluating children’s health, counseling maturing girls, and holding vaccination drives. 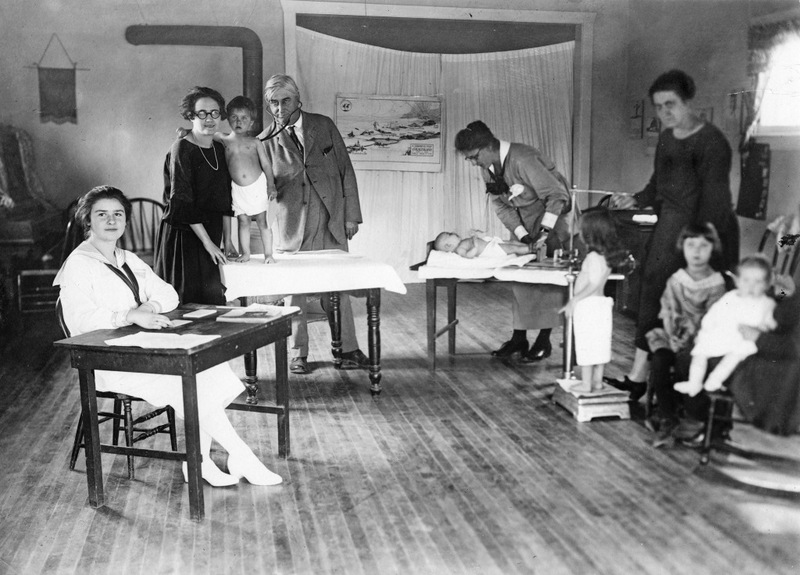 Although the federal Sheppard-Towner Act of 1920 provided limited funds for states to hire school nurses, public health nurses often filled this duty until statewide school funding improved. Their school visits coincided with well-baby clinics (often also held in schools), presentations on maternity care, and home health visits. Public health nurses supported superintendents’ crusades for indoor plumbing, adequate lighting, and better ventilation in schools. They also backed superintendents’ efforts to retain nurses in each district. Many women who became educators or nurses did so because of the career limitations placed on them in other fields. “I learned that I wasn’t equal when I was thirteen years old,” recalled Virginia Kenyon. Excluded from the vocational agriculture courses offered to boys in the late 1920s, Kenyon decided to become a nurse. Then, after she completed nurse’s training in Great Falls, she took advantage of the 1935 Social Security Act to fund her education in public health nursing. During her twenty-one-year career in rural Montana, Kenyon observed the discrimination public health nurses faced. “I would like to have had physicians accept the nurses in the field for what they could do, and not fight them as they had! We just had a battle with them all the time!” Kenyon believed that male county physicians resented the challenges to their authority that public health nurses represented. The wage gap between men and women in skilled professions reveals one of the most significant aspects of the gendered discrimination faced by female educators and nurses, who received 50 to 80 percent of what men earned. As late as 1949, public health nurses were among the lowest-paid professionals in the state. Despite such difficulties, women superintendents and public health nurses made significant gains for the public and in their careers. The election of May Trumper as Montana’s first female State Superintendent of Public Instruction in 1916 began an era of statewide school reform. During her twelve-year tenure, Trumper instituted many of the reforms that women county superintendents had been recommending for decades: a 180-day school term statewide; better teacher training and more rigorous certificate exams; more school nurses; better teacher pay; vocational training programs in high schools; and the first statewide equalization of district funding. Since Trumper’s election nearly a century ago, all but one of Montana’s state superintendents have been women. By 1950, Montana had one public health nurse for almost each of its fifty-six counties. Many became leaders in their field and influenced public health policies. Pioneering public health nurse Henrietta Crockett was also executive secretary for the Montana Tuberculosis Association and led the state’s efforts to eradicate that disease. Virginia Kenyon became the Public Health Division director for the State Board of Health and represented Montana’s nurses in state and national professional organizations. Women made important contributions in other “caring professions” as well. 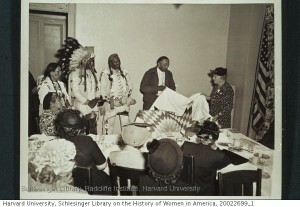 Read Early Social Service Was Women’s Work to learn more. Bradley, Frances Sage. Biennial Report of the Child Welfare Division, Montana State Board of Health, for 1923-1924. Helena: State Board of Health, 1924. “Child Health Council Formed Here Yesterday.” Helena Independent, February 19, 1929, 10. “Community Schedule for State Health Nurse.” Daily Interlake. December 15, 1924, 1. Gannon, John. First Annual Report of the Superintendent of Public Instruction of the State of Montana, for the Year Ending August 31, 1890. Helena: Journal Publishing, 1891. Helton, Dorothy. “Henrietta Crockett Wing Will Be Dedicated at Ceremony Wednesday Morning.” Independent Record, August 14, 1952, 24. Kenyon, Virginia. Interview by Therese Sullivan, November 5, 1984. 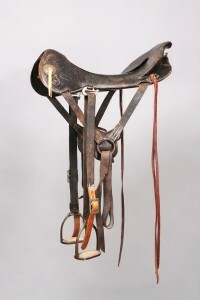 OH 1834, Montana Historical Society Research Center, Helena. McKinnon, L. C. “Dedicate Henrietta Crockett Indian Wing.” Milwaukee Road Magazine, December, 1952, 15. Montana Legislative Services Division; Montana Historical Society; Montana Capitol Complex Advisory Council; Women’s Foundation of Montana. Celebrating Women Elected to Serve the State of Montana. Helena: Capitol Complex Advisory Council, 2009. Montana Nurses’ Association Records, 1912-1987. 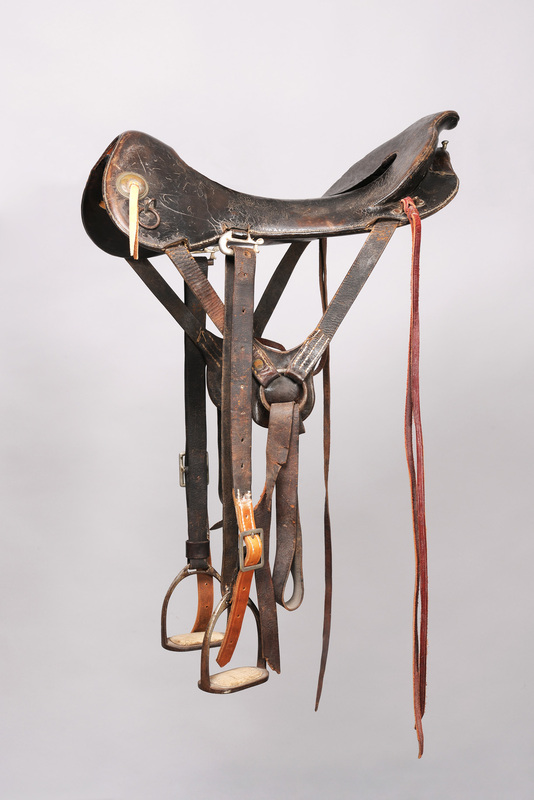 MC 170, Montana Historical Society Research Center, Helena. Paradise, Viola. “Maternity Care and the Welfare of Young Children in a Homesteading County in Montana.” Rural and Child Welfare Services No. 3, U.S. Department of Labor. Washington, D.C.: Government Printing Office. 1919. 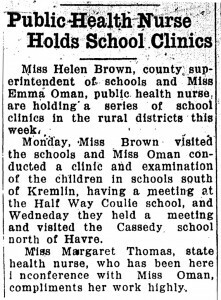 “Public Health Nurse Holds School Clinics.” Havre News Promoter, October 7, 1926, 3. Some amazing women have served as Superintendents in their counties–my favorites are Helen Clarke (what a story) and Margaretta Kleinschmidt (who served Chouteau County for something like 40 years!